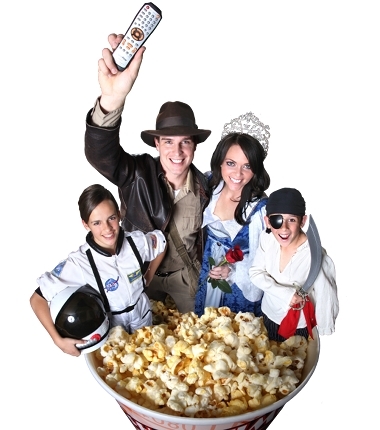 ClearPlay Blog: The Commenting Winner! Oh my, it has been pure delightsomeness to read all of your comments this month. While writing and posting a movie review has it's own special satisfaction, that satisfaction means nothing unless others have an opinion about it. I love hearing whether you readers out there agree or disagree about a movie's worthiness to be labeled 'good' or 'bad' or 'watchable' or 'passable'. After all, a movie reviewer's opinion is only worth one vote. The rest of you have the majority rule. Okay so onward we go to announce our Comment Giveaway winner! The 25" flat screen TV goes to...JeffnJenna! 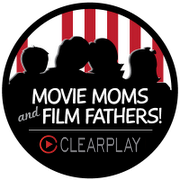 Email us at moviemoms@clearplay.com with your mailing address and information. A special shout out is in order to some regulars whose comments come often and are helpful, entertaining and at times insightful. DougyFresh (it's good to hear from you again), Michelle and Jenny. and then Hulk came in at a close third place. Personally - The Tick - "spoooon!" - so random. I even used the "Tick" in a sermon about the abusive nature of TIK... deadly! Not sure if any of these "movie/comic characters" would stand a chance against Gandalf the White from Lord of the Rings. Besides he doesn't make the Clearplay team work as hard when they have to skip over all of the scantily clad women involved with those other characters! Well, I have to admit that my favorite comic book character is, are your ready for this...is some one I can relate to. It's Mr. Incredible!!! I too, had a wieght problem and struggle to get back into shape. I've lost 45 lbs and I'm ready to take on all those bad guys out there along with Mr. Incredible!!! Keep your comments coming! You owe it to your fellow movie watchers to add your opinions on the movies you love and the movies you hate.